Let’s learn practical skills and pursue your career in the design and fashion industries! 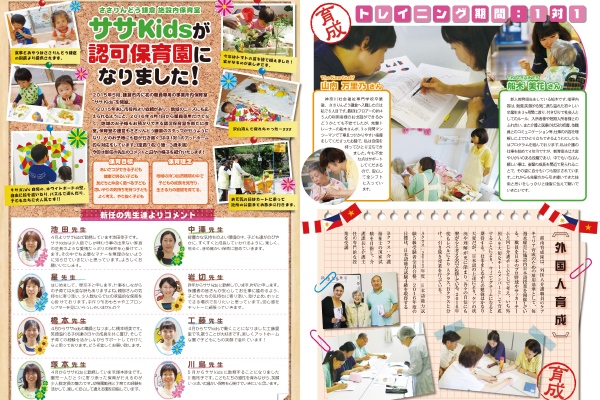 You can acquire knowledge about the industry and learn basic skills to pursue your career in Japan. We also provide a range of individual employment support to help you develop your unique talent and pursue your own career goals. Our small campus allows close communication with professional teachers. We provide the unique education as a small design college. In addition to regular classes on your specialization, you can also try classes in other departments. You can also study the Japanese language for business and qualifications. In preparation for your career in the field of designing, you will learn the essential skills for work through practical assignments and internships in collaboration with companies. As for essential practical skills for work, you will learn basics of computer software and web design skills that give an advantage in finding employment. You will further learn business etiquette, which is crucial when working in Japan, as well as the Japanese culture to pursue your career as a creator in Japan. You will acquire a variety of knowledge and skills that are necessary for the visual design to create a range of items, including publications and advertisements, through our strong practical training and industry-academia collaboration projects. You will learn how to enrich everyone’s life by making goods around us (e.g., smartphones, furniture, home electric appliances, stationery, accessories, toys, product packages, etc.) more beautiful, convenient, and enjoyable. We have helped a number of students pursue their careers through small-class teaching and internships, mainly at web companies. We provide practical assignments in collaboration with companies as well as assignments and training with clear goals. You will be well-prepared to work in Japanese society by learning etiquette through corporate assignments. In Manga Course, you will thoroughly acquire analog and digital knowledge and skills under the guidance of professional teachers, striving to become an artist full of originality. You will also actively submit your works to build a foundation of your manga. In Comic Illustration and Picture Book Course, we prepare students to become creative professionals in a variety of fields, including covers and illustrations of books, character design, and picture books. You will thoroughly acquire analog and digital knowledge and skills under the guidance of professional teachers, striving to become an artist full of originality. We prepare students to become creative professionals in a variety of fields, including covers and illustrations of books, character design, and picture books. You will learn how to use essential tools, as well as the basics and methods of drawing to develop your observation skills. You will also work on the development of stories and production of your original works. Under the guidance of professional teachers, you will enter various contests and submit your works to publishers. You will learn how to digitally draw illustrations to become a successful illustrator and manga artist. At Yokohama Design College, experienced teachers provide tailored education to help you learn essential skills for careers in the fashion industry. In small classes, you will acquire not only basic knowledge and skills in fashion but also graphics and web skills through collaborative classes with other departments. You will also prepare for various qualification examinations and learn business Japanese and etiquette to make yourself a stronger candidate for the job of your dreams. You will acquire not only design and planning but also other knowledge and skills essential for the production of clothes and fashion items. We also focus on learning to cultivate taste. Through this course, you will be prepared to work in the fashion business by learning how to read market trends that will lead to business strategies, product management and styling skills that are necessary for store management, as well as overall capability as a member of society. We help students pursue their careers by providing education on design, planning, and sewing, as well as finding their unique strengths. You will develop a range of design skills through classes on the web and graphic design. You will work on designing, production, and pricing to learn how to make products that sell well. 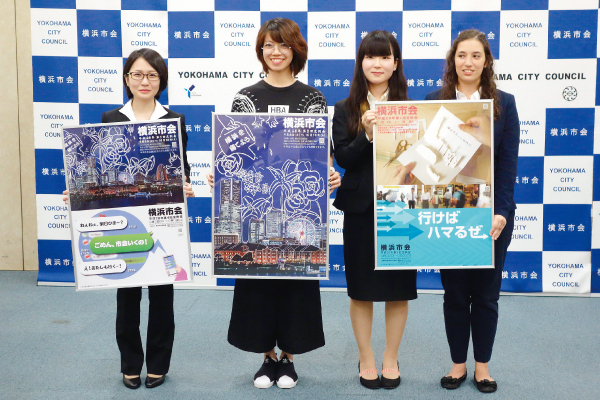 These projects are unique to Yokohama Design College, in collaboration with well-known companies and municipalities. These are wonderful opportunities to learn the joy and hardship of being professional through the real social and work experience before graduation. This is the program for students to have experience at actual workplaces while in school. To become a better designer, you will experience how the time flows and how to communicate with staff in the real workplace, the different environment from the regular classroom. We have various companies give assignments for students to work on as part of the curriculum. Students virtually participate in product development and promotional activities at companies. Certainly, their works go through a rigorous evaluation by the industry. Students work with companies to plan and develop a product. You are expected to thoroughly understand what the company needs and give a presentation on your work to the company, aiming for commercialization of the product. While the introduction of such projects has a number of benefits, the biggest one would be for students to actually experience the real world of work and its speed. Moreover, students can learn how to understand clients’ needs through meetings, incorporate them into specific product design, give presentations, and receive a rigorous evaluation for their work. Such an experience is certainly a driving force for them to improve themselves. Such real experience before graduation certainly increases students’ motivation for and awareness of future careers. As a class assignment, students take this wonderful opportunity to create an advertisement that will be posted publicly. The students’ hard work resulted in the First Prize at the public contest. 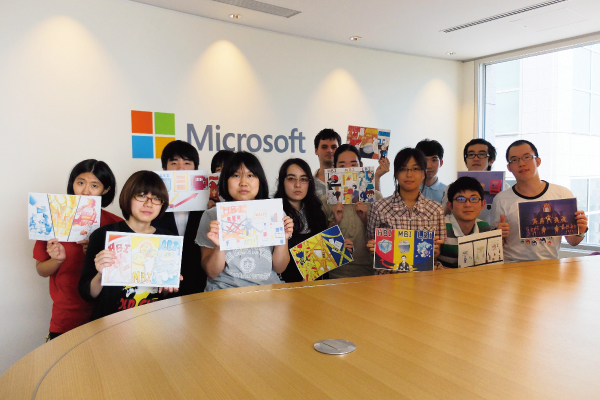 Requested by the popular confectionary in Yokohama, the students designed their wrapping papers and website. The students gave a presentation after a number of meetings with the client and numerous visits to the store. 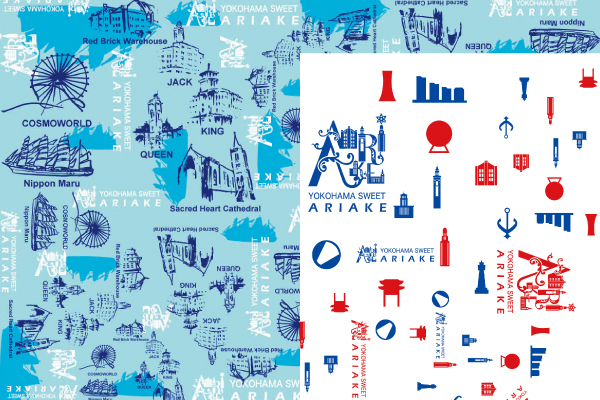 As a result, some of the wrapping paper designs were adopted by the client. The Home gave the opportunity to design and produce its quarterly magazine. It was a wonderful practical experience to learn what the Home wanted people to know and how to communicate it. While the students were really nervous when the well-known company asked them to produce the poster, their works were adopted, which gave them great confidence. 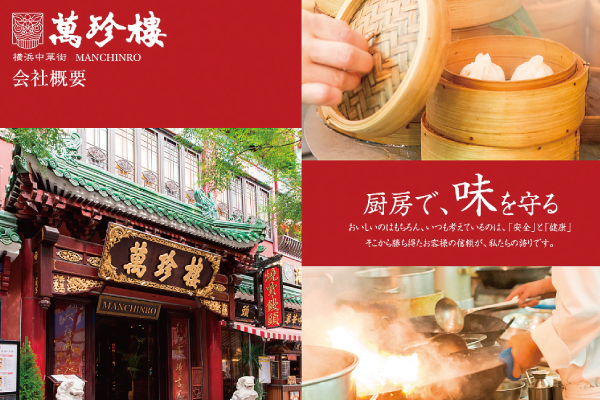 Given the opportunity to produce a corporate brochure for the long-established restaurant in Yokohama Chinatown, the students learned how difficult it was to introduce the restaurant’s charms while distinguishing it from other restaurants. We will continue to receive wonderful project proposals from Manchinro. The students produced 3D objects for the event held at Yokohama Redbrick Warehouse. 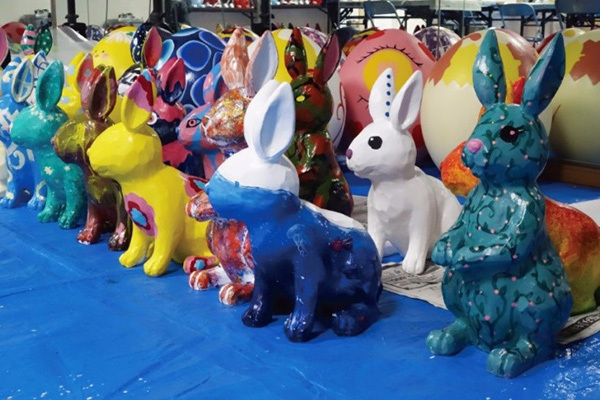 It was a fantastic opportunity to paint on 3D objects rather than on a flat surface as well as to have so many people see their works.